Duarte put up some amazing tutorial videos recently that talk about some key presentation design principles. In my opinion, anyone who creates or works with presentations can benefit immensely from the foundation principles explained in these videos. 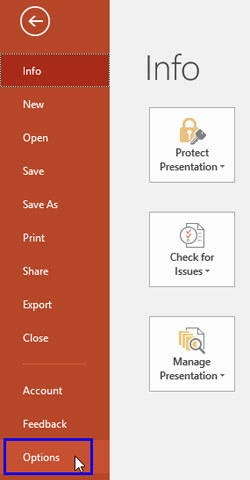 In today's post, we will explore one such video that looks at how you can set up an effective Grid system to work with your slides in PowerPoint. We learned about using safe fonts in PowerPoint, especially if you want to share your slides with others who may not have the required fonts. 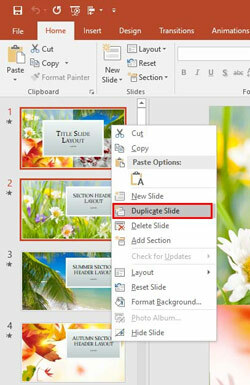 In simple terms, this means using fonts such as Calibri, Arial, or Times New Roman in your slides so that almost anyone can see the slides identically, as you see them! Sometimes, this may not be a bad idea, but you do have to narrow down your choices to the bare basics. Fortunately, there are some alternatives to safe fonts too, and some of these may work for you. The best part is that you may be able to show your slides with the fonts that you like! This 128 page PDF e-book downloads quick, costs you $5 or more, and is a valuable resource. 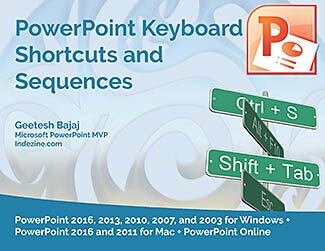 The PowerPoint Keyboard Shortcuts and Sequences E-Book covers the last five Windows versions of PowerPoint: PowerPoint 2016, 2013, 2010, 2007, and 2003. And also, PowerPoint 2016 and 2011 for Mac. 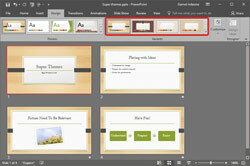 PowerPoint's 3-D options allow you to rotate shapes or add beveled edges. And these 3-D options are surprisingly powerful. In fact, some of these options are good enough to be compared to a basic 3-D program! While you can always apply a 3-D Rotation preset effect to a shape, you can actually rotate your shape in 3-D space on your own by altering the X, Y, and Z position coordinates. Depth, as a parameter for 3-D objects, plays a very important role. In simple terms, Depth is the distance from the highest to the lowest, and typically has a value that’s larger than zero. 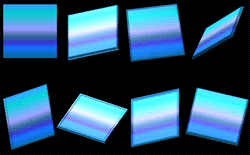 Even though you rotate a shape that has a Depth of zero, you won’t see any optimum results. So, you can first rotate your object, but you must add Depth soon after.